Teamwork Projects is a project management application that helps professionals track their work from start to finish. Today, it is common for project managers to handle multiple projects for their company or organization. However, challenges exist when working with and tracking multiple projects. For one, PMs must be able to manage risks before they become major issues. And communication is key. Both the project team and stakeholders should be regularly informed, but writing lengthy emails or holding long meetings are inefficient and ineffective. The latest Teamwork features solve this problem brilliantly. One way to ensure regular communication and progress reporting exists at every project is to assign a project owner. The new Project Owner feature allows the PM to assign a team member who serves as the point of contact for the specific project. He or she will be responsible for keeping an eye on the project’s progress, or lack of it. 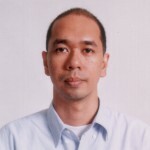 This person will also be the one providing updates to the rest of the team and other stakeholders. In case of issues or bottlenecks, the project owner can contact the specific team member who is responsible for action. Oppositely, he or she will be the one the team will contact if they have questions or issues about their particular work and role on the project. It is easy to set the Project Owner. From the project overview page, click the ‘Not set’ link on the left pane to set for the first time its project owner. Click the ‘Choose project owner’ option, and click the drop-down menu to select a user. Then click the ‘Update Owner’ button. The name of this user will now appear on the left pane as Project Owner. Another way to set the project owner is to go to the project settings, or to set it when adding users when creating a project. The designated project owner is now responsible for informing team members and other partners for any and all updates regarding the project. To do so, this person can simply click on the Add button at the right side of Teamwork Projects screen. From the menu, he or she can choose ‘Add Project Update’ and write about the latest accomplishments or needs of the project. The text input supports Markdown and @mention. By providing consistent progress updates to senior management, stakeholders, and the rest of the team, every one stays on the same page. Issues that can put the project off-track can be dealt with sooner than later. Users can even request a project update to make sure risks are managed, and expectations are met. All project updates are added to the project summary for easier search. The latest update has a highly visual Project Health feature. When the project owner adds a project update, he or she can instantly represent the health of the project by choosing from four colors: neutral for Not Set, green representing Good, amber for At Risk, and red for Needs Attention. It is a fast and simple way of communicating the progress of the project to others. Moreover, the labels can be customized to better fit individual project needs. The Project Owner feature further improves the Teamwork Projects Portfolio view function. Users can filter project cards in Portfolio based on project owners. Also, they can filter to view specific workloads and filter by project health. From this view, they can also see all previous project updates by clicking the quick view summary. They can even add one easily. All these integrated functionality provide team members the ability to review projects in context, and see a clearer picture of what is actually happening. Also, they can get this information without having to navigate through multiple different views. For more information on the latest product news and other announcements, visit also their Twitter, Facebook, Instagram, or YouTube page.